Situated on the main trunk road from the Midlands to Great Yarmouth has greatly increased trade and DIY awareness in us. 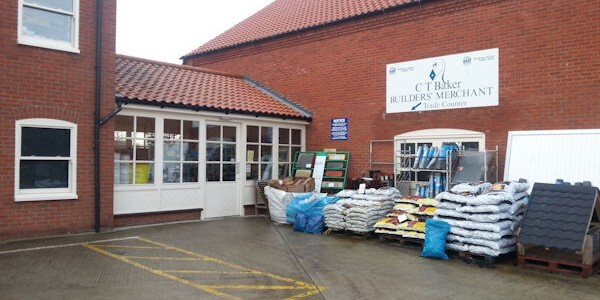 Builders and contractors in the region find CT Baker’s scores handsomely on access, availability, product range and price. The depot is stocked with both heavy and lightside materials to cater for the needs of builders, roofing contractors, plumbers and other trades people. Lee has been with the company now 25 years and has worked his way up through the Stalham branch to become Branch Manager. Lee lives in Stalham and is very well know to the local community.